The concession contract for the ski tracks and for the lifts in the winter resort of Bansko is absurd and must be reexamined, according to Bulgaria's Environment and Waters Minister, Nona Karadzhova. 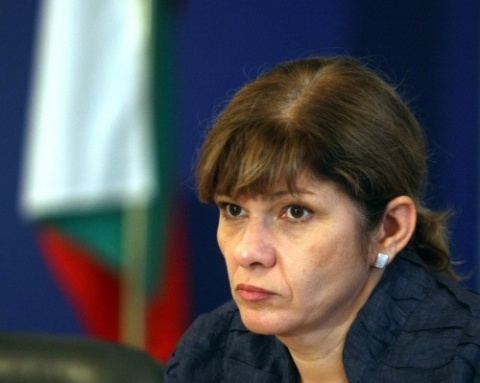 Karadzhova spoke Wednesday, during the regularly scheduled meeting of the Council of Ministers. She, however, was adamant that the illegal tracks will be open during the winter season. Experts from the Ministry are taking now another look at the maps and are discussing the exact and real length of ski tracks in the area to find out if it is 90 km or 130 km. When a consensus is reached, there will be renegotiations of the clauses of the contract in order to avoid legal proceedings, according to Karadzhova, who promised that all technical issues in the dispute are going to be resolved within a month to month and a half from now. The cabinet already proposed amendments which will make legal the use of 65 hectares from the Pirin National Park by the Yulen company. The controversial lifts and tacks were found to overstep the territory given for exploitation to the Yulen company, which manages the Bansko ski zone, in an area that is protected both as part of Natura 2000 and as a UNESCO World Heritage site. Legal experts say that the issue can be resolved through amendments of the Concessions Act or by terminating the concession contract, but the latter will lead to closing of the ski zone in the country's most popular winter resort for at least 5-6 years and the demolishing of lifts. In the summer, Bulgarian environmentalists vowed to bring down the eco-Minister after she announced that cabinet will take measures to legalize illegal facilities in Bulgaria's top ski resort. Karadzhova admits that "Yulen has in fact broken into territory it should not have been," but insists that the government could do nothing against that. In the aftermath, environmentalists united in the "For the Nature" network started a petition for her resignation, and have vowed massive protests to protect the Pirin National Park in the area of which the Bansko ski zone is located.